On the afternoon of 23 October 1642 two nervous and inexperienced armies, each of about 15,000 men, faced each other at Edgehill on the Warwickshire/Oxfordshire border. It was the first serious confrontation of the Civil War between Royalists and Parliamentarians. 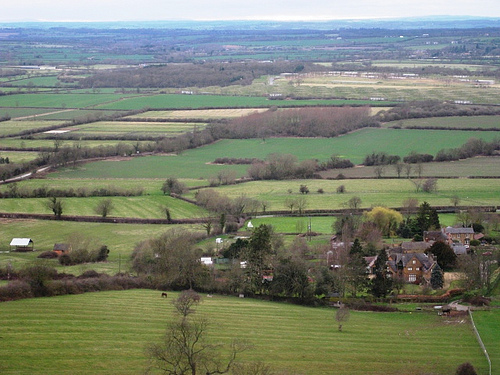 The Royalists occupied the great north-south ridge that dominates the Warwickshire plain where the Parliamentary army was deployed; but they forsook that advantage, descending the slope to fight it out in the fields below. By nightfall both sides were claiming victory in an inconclusive battle; a thousand men lay dead among the hedges and ditches, and three times that number were nursing wounds. 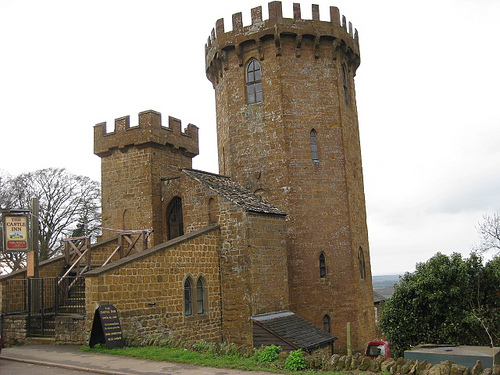 On a gale-tossed morning, looking out of my bedroom window in the Castle Inn on the edge of the escarpment, I was lord of a fifty-mile view, with the battlefield directly below. 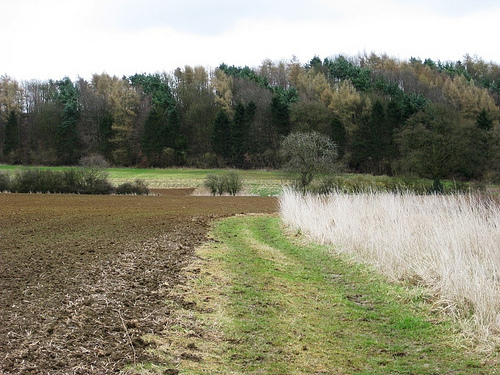 The fields where a thousand men died were striped with medieval ridge-and-furrow. 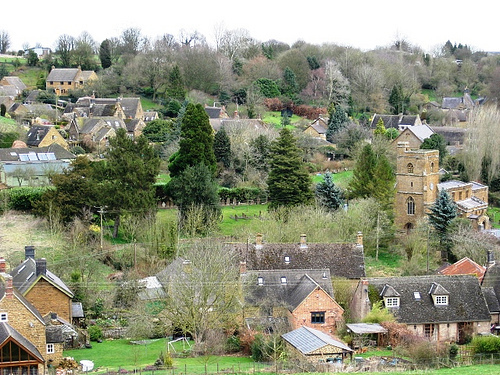 The village of Radway, all golden stone and deep thatch, lay alongside the killing grounds. 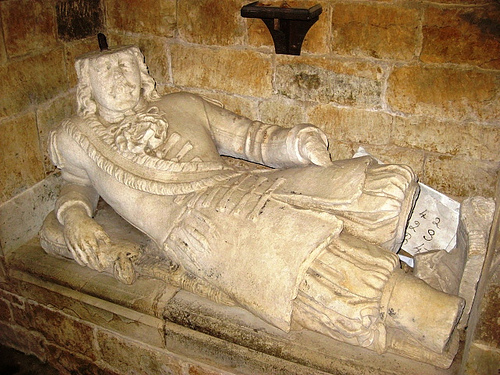 In the church I found the effigy of a Royalist officer in curly wig and knee-coat: Henry Kingsmill, Captain of Foot, ‘unhappily slaine by a Cannon Bullett.’ His grieving mother waited nearly 30 years after her son’s death, only erecting his memorial once the monarchy was firmly back on the throne and in popular favour. At last the path edged away from the ridge. I crossed the county boundary, turning my back on the windy heights of Warwickshire and descending into the calm of a hidden cleft in the Oxfordshire wolds. In a sunken lane going down to Hornton I met two shifty gents and their lurchers. ‘Hungry, mate? You’re only five minutes from the Dun Cow.’ Ha, ha, very funny – that delightful inn doesn’t open on a weekday lunchtime. But the beauties of Hornton’s thatched houses, their rich gold stone and air of deep-sunk contentment seemed refreshment enough on this vigorous day. There was laughter in the Rose & Crown along the way in Ratley, thrush song in the yew outside the square-built church. 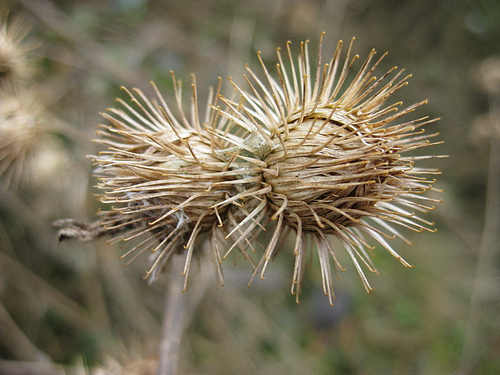 Some kind of spring-time God must be in his heaven, I thought, as I stole a pinch of sage from a wayside bush and made up the fields towards Edgehill. Getting there: Bus (www.johnsonscoaches.co.uk) service 269 Banbury-Stratford. Road: M40 Jct 12; B4451 to Gaydon; B4100 towards Warmington; right to Edgehill. Walk (10 miles, moderate grade, OS Explorer 206): Go down footpath by inn (‘Battlefields Trail’/BT). In 30 yards, right (blue arrow/BA) down woodland path. Right at bottom (BA). In ¼ mile, left (377478; kissing gate, yellow arrow/YA) down field to Radway. Left along road. Opposite church, left down Westend. At Church Farm, right fork of footpath past right end of cottage (‘King John’s Lane’ fingerpost). On for ¼ mile; left (366475) up King John’s Lane. At top of ridge, forward (‘Centenary Way/CW, Macmillan Way/MW’). In ½ mile cross farm lane at Edgehill Farm. In ⅔ mile, left up A422 at Sun Rising (very dangerous blind bend! Take care! ); right along CW/MW. In ⅔ mile CW forks right (356450), but follow MW ahead, down to lane. Left (354446; MW) to cross road. 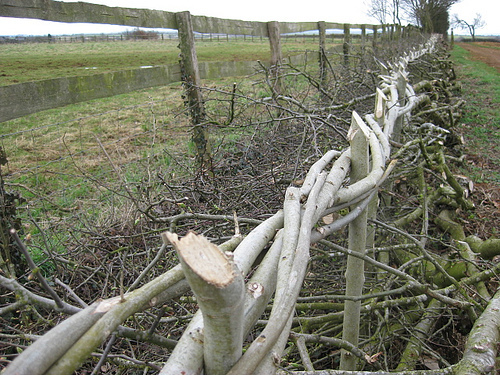 Continue with fence and hedge on your right (MW) down into valley for 1 mile to pass barn (371440). At end of 2nd large field past barn, where MW passes through gate as broad track, leave MW, turning left uphill to cross stile on skyline (376435). Diagonally left across fields (YA; ‘D’Arcy Dalton Way’/DDW). At road, left to cross A422; right along its verge; in 300 yards, left (382439; DDW) for 1 mile along bridleway past Hornton Grounds into Hornton. (Dun Cow PH to your left – see note below on opening times!). Forward past school; follow Millers Lane uphill to cross road (392455). Bridleway (BA, fingerposts) for 1 ¼ miles to Ratley (NB – very muddy around Poplars Farm – 390461!). In Ratley, left down Featherbed Lane past Rose & Crown; left past church; left opposite Old Post Office, past Manor Farm (stone stile); on across fields (YAs). At top of rise, over stile (379471); right (BT) to road. Right for 50 yards; left (YA, BT) to Castle Inn. Note: some very muddy parts – boots/gaiters advised!